Please select at least one mailing list. Due to technical difficulties we have unfortunately had to close the pier today! We are very sorry for any inconvenience this may have caused you. Do please still explore our website to plan your next trip to us, and check back here for further updates. We’ll be open again as soon as we can! 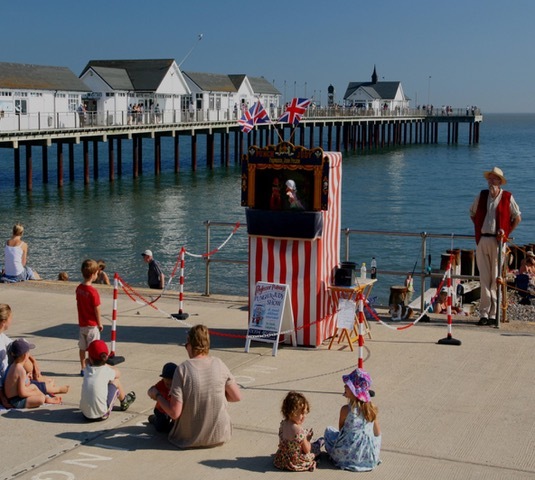 One of the most enduring memories of a trip to the seaside is hearing the shrill cry of Mr Punch and gales of laughter from the watching children. 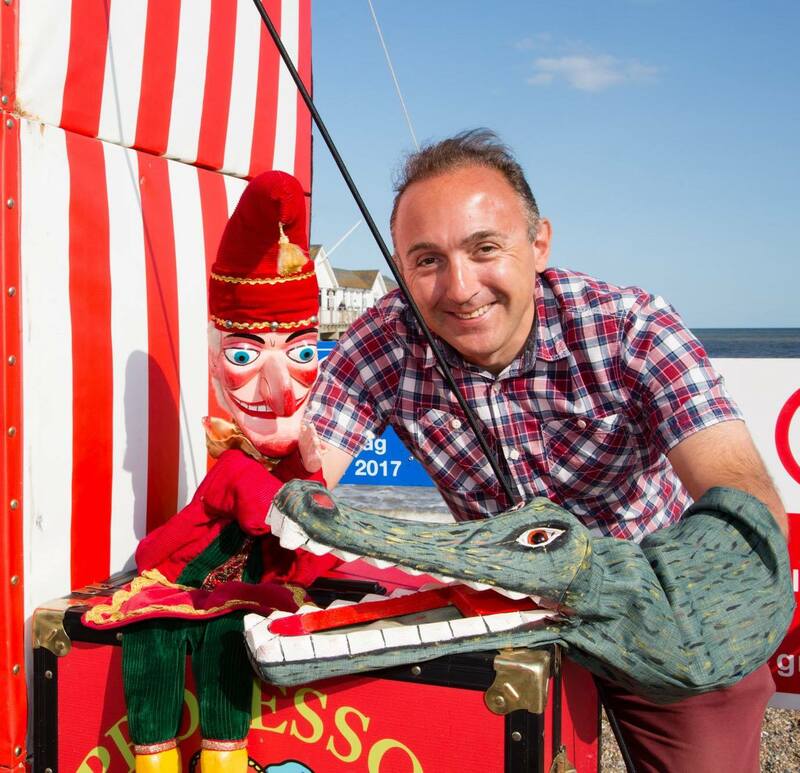 Well you’ll be pleased to know the hook-nosed trickster will be back this summer along with his long suffering wife, a crocodile and of course a string of sausages, at the Beach Cafe. Give your children the same great times that you enjoyed!